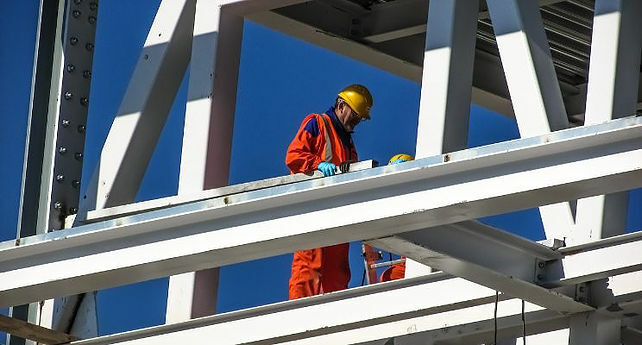 In many ways, examining and measuring productivity trends in the construction industry is like taking the temperature of the nation’s health. As productivity rises, private and public works investments provide a bit of spit and polish on a country’s infrastructure to mark a phase of socio-economic growth. In recent years, the U.S. construction industry has experienced stasis and decline in productivity across multiple sectors. However, overall predictions for 2017 include a 5% increase in construction growth. This development depends on meeting industry challenges and implementing best practices designed to overcome traditional and historic stumbling blocks. Maintaining a smooth transition from contract to design and production becomes increasingly difficult throughout the life-cycle of large-scale construction projects. On-site project managers are rarely educated on complex contract negotiations, and therefore unable handle issues that arise later. Poor communication or organization impedes decision-making and prevents appropriate accountability. Insufficient project management hinders execution and overall productivity. Collaborative partnerships are becoming an increasingly popular way to share risk, costs and compensation across construction project delivery. Placing the burden of the entire project life-cycle within the bounds of a single contract has proven ineffective. Now, designers, contractors and builders cooperate to collectively manage the entire process. Collaboration allows talent pooling, streamlined processes and specialization to address specific issues. And web-based communication tools make allow for real-time information exchange, decision making and problem solving. Over budget construction development is certainly not uncommon and the bigger the project, the larger the problem. In fact, studies have shown megaprojects – costing $1 billion or more – go significantly over budget nine out of ten times. That’s a lot of risk, and a lot of wasted money. Determining the cause for this can be a frustrating process of blaming and finger-pointing: insufficient funding, incomplete specs, ignorance of market resources and aggressive timelines, among others. In general, the broad range of unpredictable execution or productivity problems that plague any construction project may quickly snowball into creating a failure to meet cost and time budgets. Modular or offsite construction is poised to grow in popularity due to its potential for cost and time savings across an entire project. In fact, a recent study shows a 6-7% annual growth rate in the prefab construction market until 2020. Construction standardization minimizes unforeseen cost and time overages. It also reduces energy consumption and wasted building materials. Further efficiencies associated with offsite construction stem from increased usage of building information modeling (BIM) software. Such software improves and eases design flow, saves precious time on drafting and eliminates production errors. More than half of construction company respondents in a recent survey conducted by a software and research advisory firm reported they were still using pen and paper for bids and estimates. Pen and paper! And according to Gartner, when compared to 14 other industries, the construction trade invested the least in information technology. Lagging far behind modern processes and tools will hinder the growth of an industry whose expansion serves as a bellwether of the nation’s prosperity. Like every other industry, the embrace of technology is crucial to success. Imagine construction that uses building materials to sense environmental changes and communicate via sensors to direct repairs, avoid accidents and eliminate casualties from natural disasters. This may seem like something from a Star Trek episode, but it’s already becoming a reality. Not only will “smart” building materials utilize real-time data gathering tools, but construction sites will take advantage of IoT (Internet of Things) devices to improve efficiencies during project operations and reduce waste and cost. Construction software solutions will continue to eliminate manual methods of design and job management and modernize the industry. Despite the challenges, one construction industry productivity trend remains clear. Organizations will continue to use technology-enabled solutions to decrease risk, improve efficiencies and advance collaboration. Those that don’t will find themselves left behind.